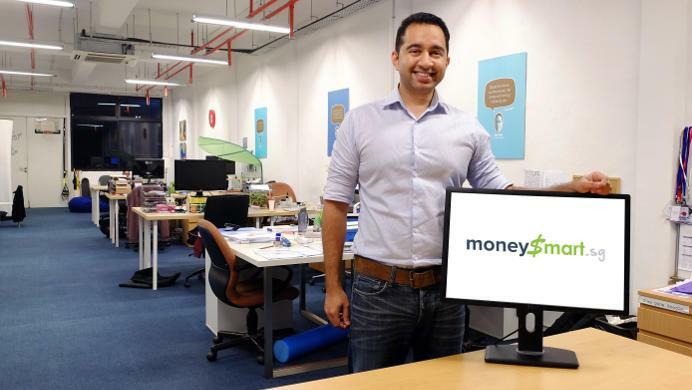 Singapore-based personal finance portal MoneySmart.sg has announced that it has raised SG$2.8 million(US$2 million) in a Series A funding led by SPH Media Fund. Venture capital firm Convergence Ventures, OPT SEA and Golden Gate Ventures also participated in the round. Several corporate chiefs and prominent entrepreneurs including Alfred Chia – CEO of SingCapital, Mohammad Ismail – CEO of Propnex, Alan Lim – Director of Propnex, Dan Lynn – VP of Asia-Pacific for vacation rental portal Homeaway, and the Co-Founders of Singapore-based live chat app Zopim -Roystan Tay and Kwok Yang Bin also joined. MoneySmart plans to use the newly-raised capital to increase hiring across all teams to ramp up its content as well as build up a core team of developers. It will also boost marketing efforts in Indonesia and Singapore, and launch into one new market. Beyond that, it will be launching an app in the near future. “We are looking into expanding into either the Philippines, Thailand or Hong Kong by mid-next year,” said Vinod Nair, Founder and CEO of MoneySmart.sg. He noted that in the Philippines, Internet penetration is still quite immature compared to Hong Kong while Thailand is in between. The funds are expected to give the company a runaway of 12 to 18 months. After which, it plans to raise a Series B round. Founded in October 2009 as SmartLoans.sg, the site allowed Singaporean users to compare and apply for home loans. Nair then went on to launch several independent niche sites for comparing credit cards and insurance packages. He launched MoneySmart.sg in August 2012 as a personal finance blog and, in May 2014, consolidated all the sites into one portal. Through partnerships with banks and insurance companies, MoneySmart.sg also provides personal finance services that cover the gamut – allowing users to compare and apply for different credit cards and personal and home loans, as well as insurance plans. According to Nair, 70 to 80 per cent of its revenue – over SG$1 million (US$700,000) per year – comes from the personal finance services while about 20 to 30 per cent comes from advertising such as advertorials. According to an official statement, MoneySmart gets 1.5 million page views and 500,000 unique visitors per month. Its content syndication partners include digital news sites – AsiaOne.com (owned by SPH Media), MSN.com and Yahoo!. Last year, it also acquired an Indonesian counterpart, now known as DuitPintar, which sees 500,000 page views a month. Nair, who was also one of the Co-Founders of e27, spoke at length at a press conference this afternoon on what he learned from his past failures and challenges. Nair, unfazed by the failure of his first venture, poured his whole savings of SG$5,000 (US$3,500) six years ago into founding SmartLoans.sg. For about one and a half years, it saw a healthy revenue growth with users taking up home loans through the site, before hitting an obstacle – property cooling measures that caused a significant drop in property sales. “We were no longer cash flow positive, and our tiny reserves that we had built up over the months to fund expansion were quickly being bled dry. Thankfully, the very supportive people at NUS Enterprise offered to extend us a loan of SG$55,000 (US$35,800), which helped us see through some very tough times,” explained Nair. Nair then sought to diversify the portfolio of services to generate more streams of revenue, launching SmartCredit.sg and SmartInsurance.sg to target the personal loans, credit cards and car insurance market, before starting MoneySmart.sg. “We started our blog because we wanted to educate and engage our audience more frequently. After all, all people didn’t need to come back to our site after they made a decision and we thought that content would be a great way to reach out to a new audience,” said Nair. He admitted that it was not entirely smooth sailing and that the startup experienced difficulty seeking seed funding. “We were swimming against very strong currents. Our blog had hardly any traffic and we were not able to secure any commercial partnerships for the new product verticals we launched. Financial institutions were not fully online nor did they see it as a major channel,” he recounted. After pitching to 50 investors, Nair struck gold with one – Golden Gate Ventures. “Vinnie [Lauria from Golden Gate Ventures] looked beyond the financials. They were the only VC that saw my past failure, and the fact that I managed to survive for three years and actually make some revenue as plus points,” he said. With the seed funding of SG$589,000 (US$413,000) from Golden Gate Ventures and the National Research Foundation (NRF), Nair consolidated all the sites, rebranding it as a personal finance portal -MoneySmart.sg. It was also able to leverage off the PDPA (Personal Data Protection Protection Act) laws passed in Singapore in 2014, which saw banks lose a major source of customer acquisition, forcing them to shift online to get referrals. “Running a startup is kinda like surfing, you go out to sea, paddle like mad against the current and oncoming waves and wait for the big wave to go on the ride of your life,” said Nair. Nair also stressed the importance of having a solid team. “Ultimately to have a great surf, you need a good surfboard, and that’s my team. I could not have made it this far on my own,” he concluded. The post SG-based finance portal MoneySmart.sg raises US$2M in Series A appeared first on e27.